The IAM mourns the death of civil, human and workers’ rights advocate Cecil Branstetter. 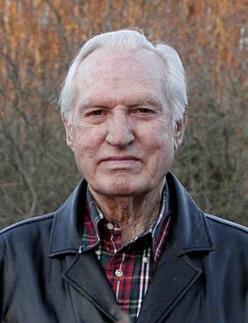 He passed away on May 7, 2014 at the age of 93. During 60 years of practicing law in his home state of Tennessee, Branstetter relentlessly defended the less fortunate and was once one of the few labor lawyers in the South. Among his many clients, including the IAM, was a Monteagle, TN school that trained civil rights activists such as Rosa Parks. Branstetter, a World War II Army veteran, served as President of the Junior Section of the Tennessee Bar Association, Chairman of the Tennessee Board of Professional Responsibility and Fellow of the Tennessee and Nashville Bar Foundations. As a member of the Tennessee House of Representatives, Branstetter obtained passage of a bill that allowed women to serve on juries.